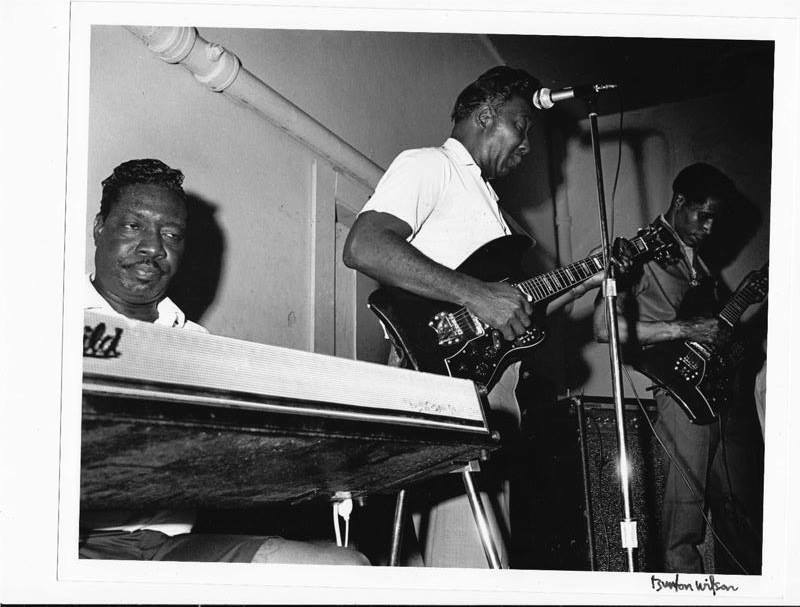 Otis Spann, Muddy Waters, Luther “Georgia Boy Snake” Johnson at the Vulcan in 1968. First night of two. It’s one of the most notorious bookings in Austin music history, the weekend in 1968 that Muddy Waters and his band played the Vulcan Gas Company, with an albino blues guitarist from Beaumont named Johnny Winter opening the show. On the Friday night, the Waters band didn’t arrive until after the Winter trio finished. “They did a standard 45 minute set,” Vulcan owner Don Hyde recalls of Muddy’s Friday show. As you can see from the photo, they weren’t even wearing their customary suits. “It was only 10:45, so I asked Johnny if he would play for a couple of more hours. 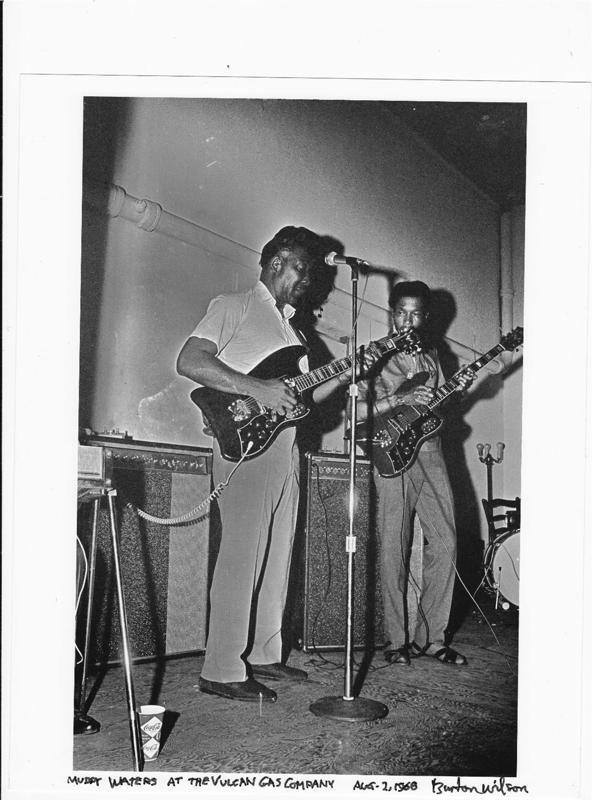 He said sure.” Waters did hear that set, when JW came out and blew the doors off the place. Aug. 2, 1968 at the Vulcan. “The next night, Muddy’s band came back dressed to the nines and played for over two hours,” Hyde says. “They blew Johnny off the stage, then they did a couple of tunes together.” Winter went on to produce and play on some of Muddy’s great ’70s albums.